GET OUT THERE! I didn't realize their website has coupons on it too! nice!! sign up for them! yeah.. so I had a full day of lunching with girlfriends, wedding planning/shopping (for my girlfriends wedding), then a tastefully simple party.. so I figured after the TS party I would run out to CVS and do a few shops. I actually NEEDED a few things that were good deals this week. Unfortunately I wasn't prepared so I came home from the TS party and quickly put together my coupons and wrote up my "plan of attack". My son who just started driving needed some "night driving" time so I grabbed him and off we went.. and off we went.. and off we went.. and off we went. Yes we stopped at 4 yes count them 4 CVS's all were closed. Super Target was closed and every pizza place was closed (I had promised my husbands poker buddies some pizza on my return) it seems that not only does Easter shut down every CVS early (even the locations that used to be 24 hour locations which have now changed?) but also you can not order pizza and have it delivered to your car which is 10 feet from the pizza places front door. Apparently they have to deliver to an address, "yes can I give you my address, you make the pizzas, and then the delivery guy can walk to my car and deliver them?" NO.. hmmm what recession? is at it again. Wednesday April 8th, bring in a friend, buy a Grand Slam for yourself and your friends Grand Slam meal is FREE!! Most of my friends and I would just split the bill down the middle for a super cheap meal. Either way, it's a great way to get together with a friend you haven't seen in awhile to chat and have a cheap or free meal! For my birthday I posted this exact blog.. detailing out all the freebies I had found. My birthday was 6 months ago TODAY, but TODAY is an even better day... my half birthday is also MY SON'S BIRTHDAY! Today is his 15th birthday! In honor of my awesome son check out all the goodies I have found. Just by chance MONEY SAVING MOM was also having a birthday the week of my birthday. She listed out a ton of great places that offer birthday freebies for all ages! Check those out. I then ran into this site MR CHEAP STUFF and they also have a great list of other YUMMY places that offer birthday goodies! nice! I got a free meal email, all I have to do is print the email and go! yummo! 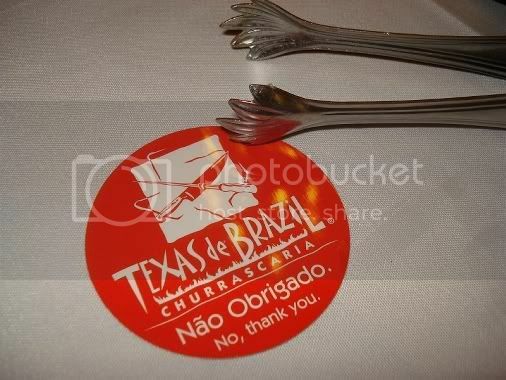 Texas De Brazil I get hungry just going on the site and hearing the music they play.. seriously.. if you have not been to a brazilian steak house, getting a free meal (with the purchase of a full priced meal) on your birthday is the way to go! I have to explain how these places work, because if you haven't been there WELL YOU ARE MISSING OUT but you'll be a bit confused without a little direction. Of course your server will be happy to explain as well. Okay, you go in, get seated, and then the server comes to ask you for your drink orders (pretty expensive.. like a small little 8oz bottle of coke is $3-4 each) I normally just order water. They will of course ask if you have been there before. They direct you first to the salad bar which is amazing. I believe it has over 80 items including Lobster Bisque soup, sushi, along with other expensive yummies like prochuttio and grilled provolone. ohhh so yummy.. so of course you fill up on the salad bar which is never a good idea. Next they give you (as pictured above) a little disc. On one side is green meaning GO and the other RED meaning stop. The guacho's or brazilian cowboys once seeing your GREEN GO card turned up will start stopping by your table each with a different meat! It's amazing. They are normally serving 12-15 meats during a normal meal so once you figure out your favorite then you can keep an eye out for that guacho. I live in the Chicago area and a full price dinner is $42, so with the coupon for both of you it's roughly $65. But it's all you can eat and you can stay as long as you want. Old Country Buffet also known as Hometown Buffet in other areas sent me a birthday coupon good for a free meal. Sweet Tomatoes also called Souplanation in other areas sent me an email for a free meal as well! Okay.. those are my favorites (all you can eat is popular with me, can you tell? Well to everyone with a birthday in APRIL, HAPPY BIRTHDAY!! Enjoy the freebies!